Our company feels that septic tank risers should be installed on every tank. They can be installed either above the ground or just below the surface. They eliminate virtually all the labor involved with pumping and maintaining the septic tank and promote regular maintenance. You can mix and match many different parts to create just the right riser system for your tank. We provide one of the most professional commercial and residential septic tank services and repair solutions. 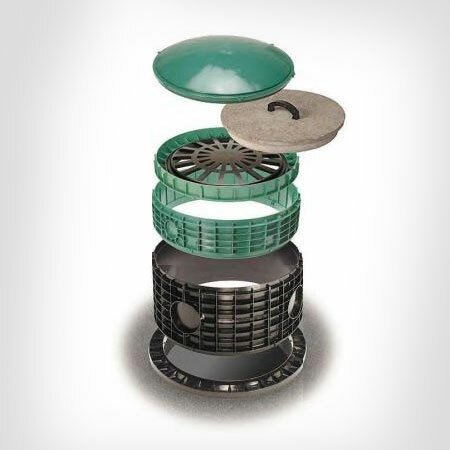 If your septic tank is in the back of the house or in an area where it is not visible, tank risers can be installed up through the surface making your system maintenance truly labor free. Our risers come with gaskets built into the lids to keep the gases inside the tank. 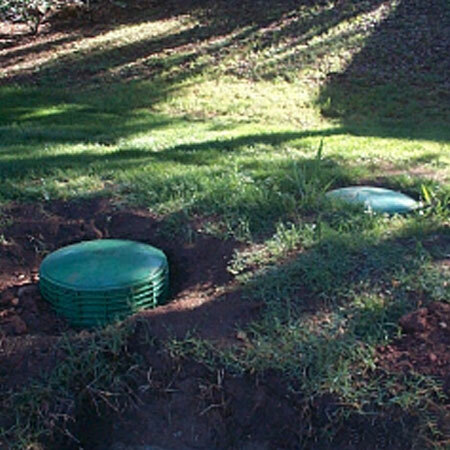 Regular septic tank lids require that they are at a depth of at least 6" to prevent gases from escaping. Our risers are 20"-24" in diameter to meet the current codes and still allow the tank to be properly and completely serviced. In both types of commercial septic system installation, the cost of having the risers installed verses the cost of the labor to uncover them each time, not to mention the back breaking pain of doing it yourself, they will usually pay for themselves within 2 pumping services. In both the above ground and below surface installations, tank risers replace the existing tank lids. We also can install risers on plastic and fiberglass tanks using the appropriate adapters. 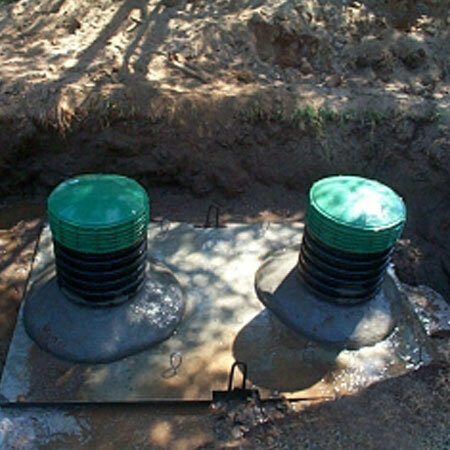 Their purpose is to bring the access ports of the septic tank to the surface. They are concreted onto the septic tank itself both to strengthen and prevent roots from entering the septic tank and are constructed of a thick, strong, UV protected plastic. This type of riser, whether used above or below the surface, is not traffic rated. There are other products in the market which are made to support the weight of a vehicle.